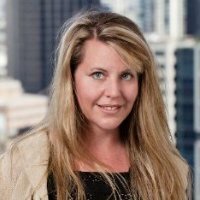 Jillian Bowen is Content and Social Media Manager for CPA Australia. We are one of the world’s largest accounting organizations, with more than 150,000 members working right around the globe. Our future growth and our ability to achieve our vision to be the world’s best member services organization depends on our ability to remain relevant to our membership, to find new and innovative ways to engage with them and to attract new members from across the professions. That means targeting key audiences who are receptive to our messages about career advancement and professional development: university students and young professionals, as well as mid-level and senior-level professionals. We’re always looking for ways to connect so that we can drive greater awareness of the benefits of joining CPA Australia. The challenge is finding these various audiences, and sharing content with them that relates to their particular career experiences and interests. We rely on our quality content to showcase our knowledge. Our Sponsored Updates campaign helped us generate both immediate interest in the CPA Australia brand and also build long-term relationships – since we’ve expanded our follower base, we have a wider audience of people to reach with ongoing communication. We’ve seen up to 4% engagement with our content, and a 10% average conversion rate from click-through to becoming a follower. As experienced marketers, we use many tools to promote our content. We’ve found that LinkedIn gives us the best options for targeting our messages, and for delivering the highest levels of ongoing engagement. It’s a very productive partnership. Learn more about how CPA Australia used Sponsored Updates to increase engagement.